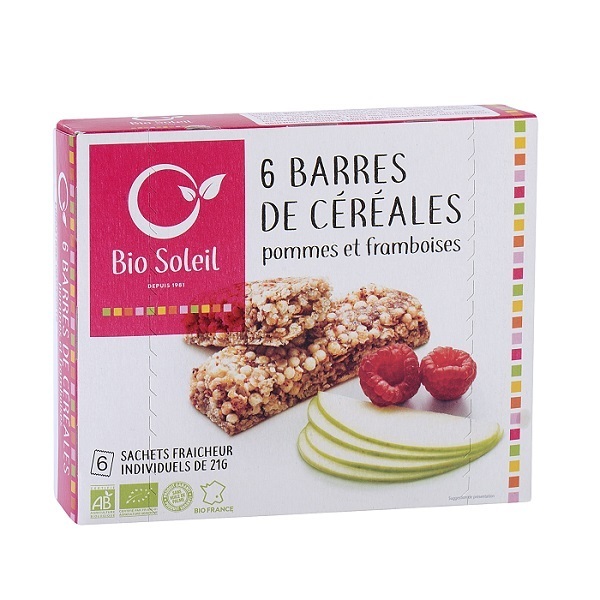 Ingredients: cereals *(47%) (rice *, wheat *, oats *, barley malt syrup *, cane sugar *, sea salt), corn syrup *, deodorised oleic sunflower oil * (antioxidant: extract rosemary *), potato flakes * (5%) (* potato, rice cream *, pectin *, soy lecithin *), raspberry glitters * (5%) (* raspberry, maltodextrin *), acacia fiber *, natural raspberry flavour *. Allergens: Presence: gluten, soy. Possible trace: milk, egg, nuts, peanuts, sesame.